THROUGH TO THE WALL, WhisperKool SC Series cooling units are the industry standard for wine cellar contractors. 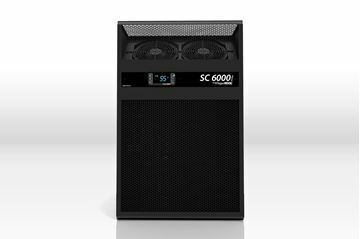 Designed for simple installation, the SC Series provides an economical solution to your climate control needs in a compact self-contained system. 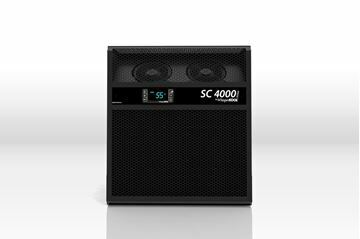 A direct replacement for the XLT Series, WhisperKool's SC Series utilizes the latest technology for superior efficiency and cooling. WALL MOUNTED SYSTEM OR DUCT THE EXHAUST - The WhisperKOOL SC Series cooling unitsmaintain proper temperature and humidity within a properly built wine cellar. 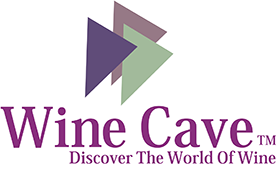 The series consists of five dedicated wine cellar cooling units for wine cellars ranging from 300 to 2,000 cubic feet. 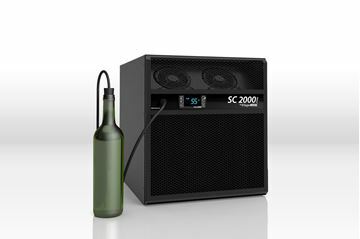 U-WKSC2000-115-3, The Whisperkool SC 2000i cooling unit offers a wine cellar cooling capacity of 300 cu. ft.